Store the vehicle keys in your dealership with the Keyboard With Self-Closing Tabs. The keys stay on the hooks thanks to the self-closing tab construction. 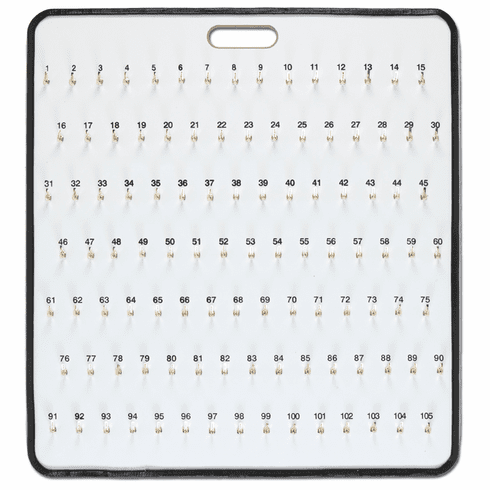 The numbered hooks on our car dealer keyboard make organizing and finding the correct keys quick and effortless. The handle at the top allows the board to be easily carried to a secure location at closing time.